The Prestige 1 Ball Roller bag line is one of the best bags out there. This bag has everything you need to bring for a good time at the bowling alley! This bag is available in a variety of colors. Hi Trey. The weight of this bag is 27.8lbs. Unfortunately, there is not a locking handle for this single roller. 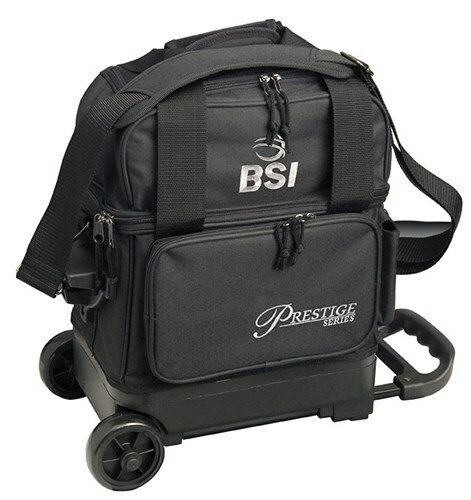 Due to the time it takes to produce the BSI Prestige 1 Ball Roller Black ball it will ship in immediately. We cannot ship this ball outside the United States.